One of the most buzzed-about books of the summer, The Age of Miracles by Karen Thompson Walker raises the question: what would happen if the Earth’s rotation suddenly began to slow down? Narrated by 11-year-old Julia, the novel explores not only the ramifications of this global disaster but also how it affects the already tumultuous time between childhood and adolescence. I read this book several weeks ago and held off on blogging about it because, frankly, I was disappointed. But I realize now that perhaps I just went into it with the wrong expectations. As a reader who adores sci-fi and fantasy literature, I felt that the earth’s slowing rotation and its effects were extremely underdeveloped. I wanted more information about why it happened, good descriptive passages about the effects it had on life all over the planet, and to feel the sense of danger and dread that should have been felt with this sort of catostrophic event. But that’s not really the focus of this book, and if you go into it prepared to practically ignore the science of it all, it becomes a better story. 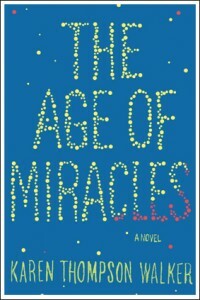 The Age of Miracles is really a coming-of-age story about Julia, who just so happens to live in a time when the earth’s rotation is slowing. It’s a novel about growing up and the changes that come along with it no matter what kind of crisis is happening in the outside world: friends still grow apart, bodies still change, your parents still don’t understand you. 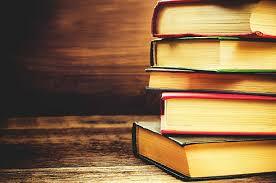 The passages focusing on Julia’s feelings and her relationships are beautifully written. Walker quickly draws the reader into Julia’s story and makes you care about her; you’ll want to jump right into the book and punch the bully who picks on her at the bus stop right in front of the boy she likes. Overall I would recommend this book if you’re looking for a nicely written coming-of-age story in a unique setting, but aren’t too concerned about sci-fi elements.